Unless you’re walking, the best way to explore NYC is by bicycle. There are more Citi Bike depots than ever, which allow you to pick up and drop off bikes in different spots, plus some incredible options as far as linking together different rides. Below are the 12 best bike routes for exploring NYC. Wear your helmet, and enjoy! It only makes sense to list Ocean Parkway Greenway first as it literally became America’s first bike path in 1894. 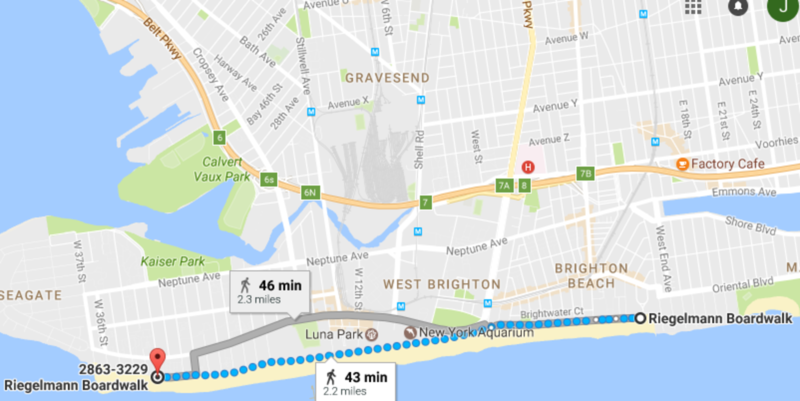 This path extends 4.8 miles from Coney Island to Prospect Park, right through the heart of Brooklyn. While cyclists will encounter stoplights and intersections, there are designated bike paths the entire ride, the west for cyclist and the east for pedestrians. While riding is permitted on the boardwalk for a majority of the year, from Memorial Day to Labor Day, riding is only allowed before 10 a.m. and after 6 p.m. due to the crowds of beachgoers. Still the path provides a 4.7 mile-ride with a view of one of New York City’s most popular beaches. The western half of the Shore Parkway Greenway stretches 5.5 miles along the most western part of Brooklyn from Owl’s Head Park to Bensonhurst Park. Cyclists can enjoy views of New York Harbor, Verrazano-Narrows Bridge, the Statue of Liberty, Gravesend Bay, and the United States Army Garrison Fort Hamilton , making this a tour and ride in one. Besides being the most heavily used bikeway in the United States, the is also a part of the larger East Coast Greenway, which extends roughly 300 miles from Florida to Maine. This specific part extends 11 miles from Battery Park to Little Red Lighthouse at the George Washington Bridge, passing through four parks with stunning views of the Hudson River and New Jersey skyline. The eastern half of the Shore Parkway Greenway begins at the intersection of Emmons Avenue and Brigham Street and stretches into the Howard Beach and Rockaway areas of Queens. The path, if done in its entirety is close to 19 miles long. And while bikers may have a less splendid view of the Belt Parkway on one side a majority of their ride, they can expect scenic views of the Marine Park wildlife preserve, Jamaica Bay, Canarsie Pier, and Rockaway Beach on the other. The stretches 2.1 miles from Brighton Beach to Sea Gate. While you’re likely to see bike riders at various times of the day, biking is only on the boardwalk only from 5:00-10:00 AM, and makes for a relaxing morning ride while taking in the sea air. Central Park provides cyclists with three various paths of 1.7 miles, 5.2 miles, and 6.1 miles. Biking Central Park is the perfect way to tour America’s second most visited attraction, but for bikers wishing to take their visit to the next level, Central Park bike tours are available for booking through Central Park’s official site. This extension of Manhattan, accessible by subway, tram, or the Roosevelt Island Bridge, has a 3.8-mile bike path that wraps around the entire island. 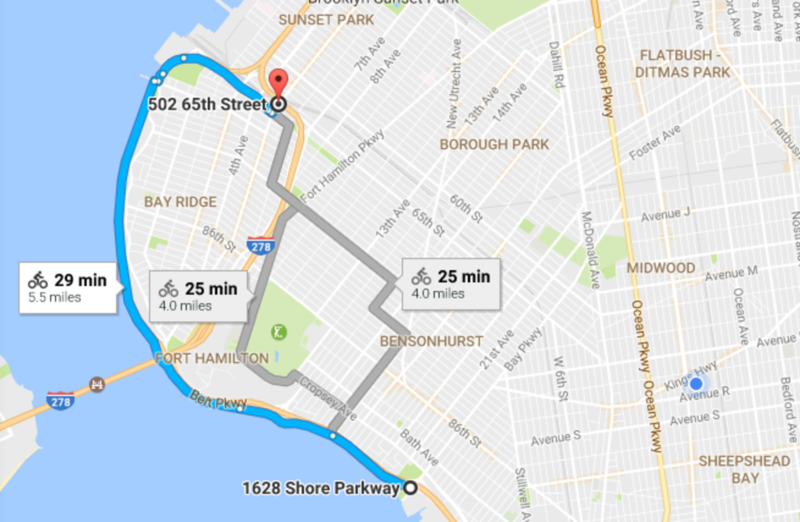 Cyclists on this route should definitely park and take a minute to enjoy Franklin D. Roosevelt Freedom Park and the eerie but historical Smallpox Memorial Hospital . While Prospect Park is car-free during the weekends, cyclists can still enjoy a designated 3.35 mile bike loop during any day of the week. 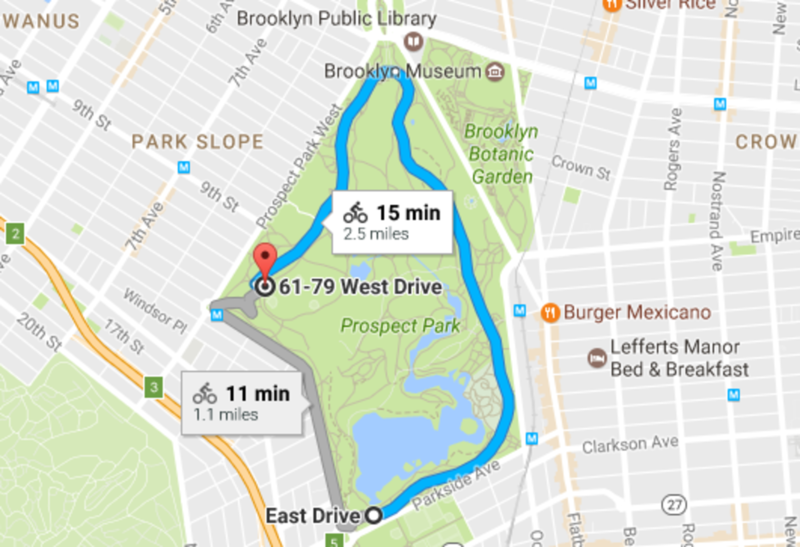 The Prospect Park bike paths provide a more relaxing ride for cyclists who prefer a more scenic ride, but also feel more comfortable biking out of main street traffic. 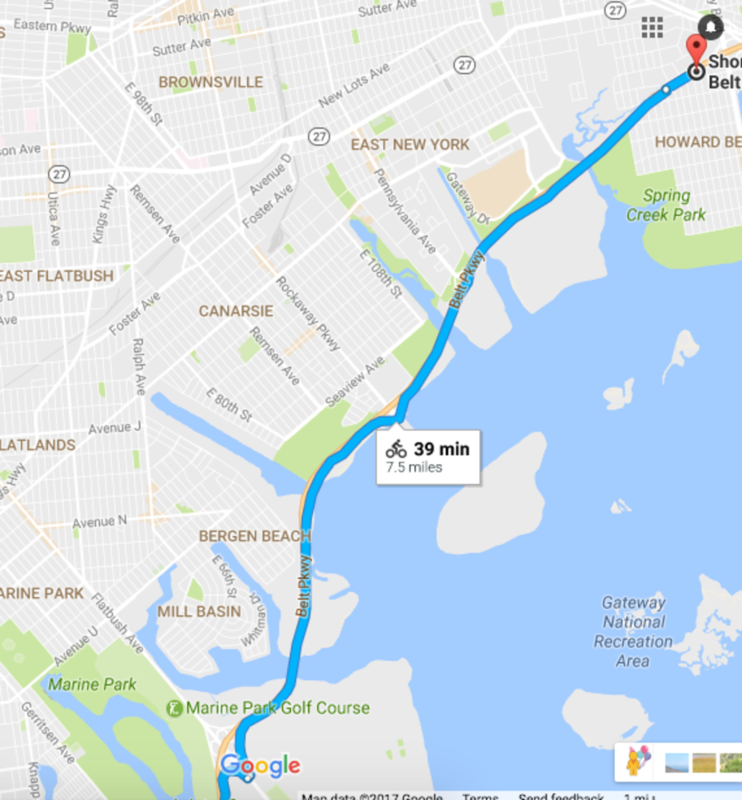 Beginning at Bulls Head, cyclists can ride 3 miles through central Staten Island. While the New Springville Greenway isn’t necessarily known for its scenic views, one spot worth passing is Freshkills Park, a former landfill that is currently being converted into open green space. 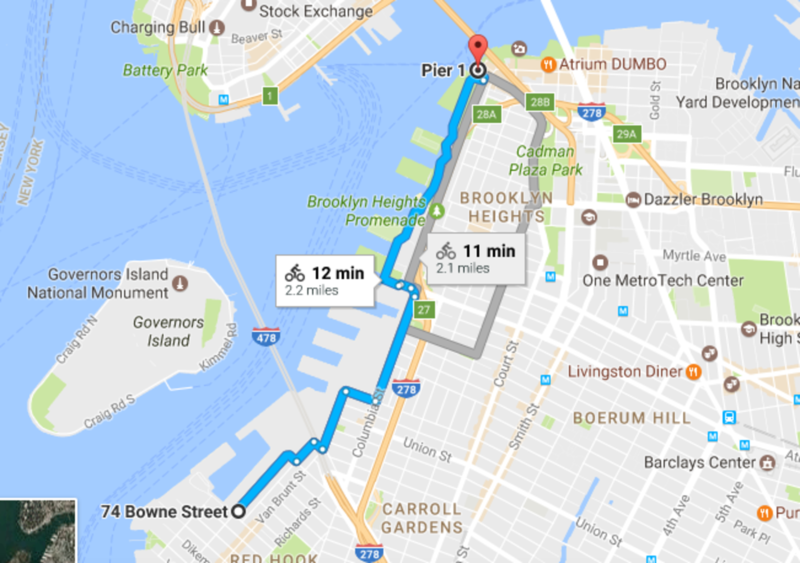 Cyclists can enjoy a 2.2-mile ride from Red Hook to Pier 6 while biking the Brooklyn Waterfront Greenway. Bike racks are provided along Pier 1 to Pier 6 for bikers who want take make stops along the way, as cycling is not permitted on park the paths or the pier promenades. For cyclists who would like to extend their ride, bikes are permitted over the within the bike path. The Bronx River Greenway is still a work-in-progress, expected to eventually make up 23 miles, but cyclists can already enjoy small segments of the greenway. A 1-mile loop near Oak Street in Mount Vernon, a 4.6-mile path between Bronxville and Scarsdale Avenue, and a 5-mile path from Hartsdale to Valhalla, are just a few scenic pathways open to the public.